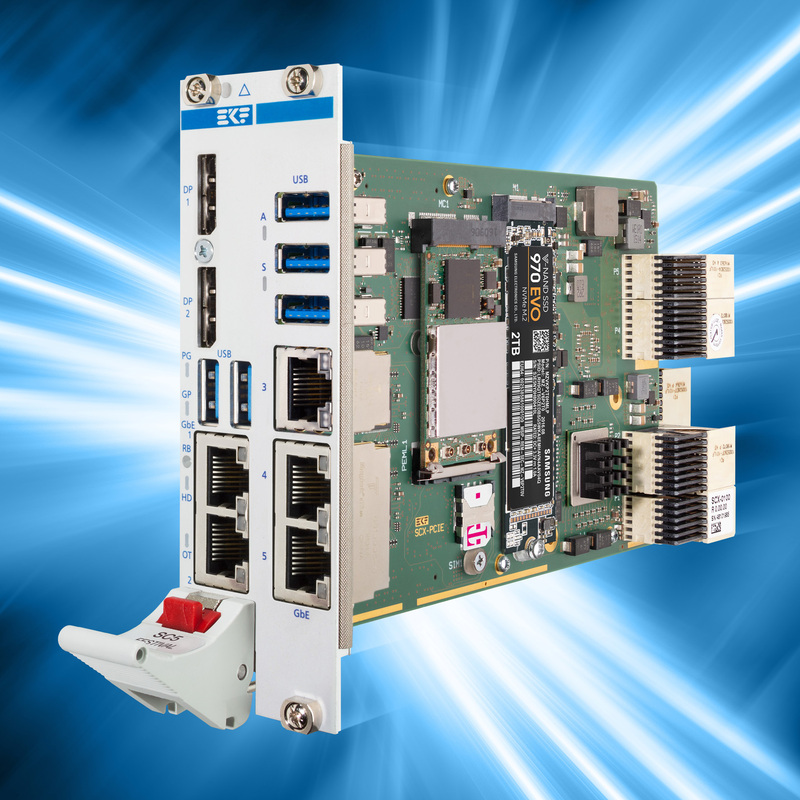 The SCX-PCIE is a mezzanine side card for EKF CPU boards, equipped with a PCIe® Gen3 packet switch, on-board NVMe and SATA mass storage, and high speed front I/O. 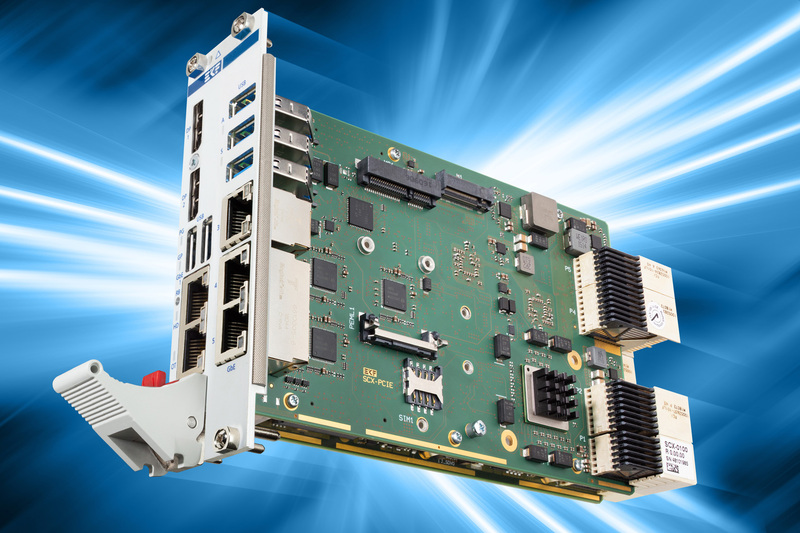 The PCI Express® switch supports a secondary CompactPCI® Serial backplane with up to eight peripheral slots, four links organized as Gen3 x4, thereby expanding a CompactPCI® Serial system from 8 to 16 peripheral card slots in total. 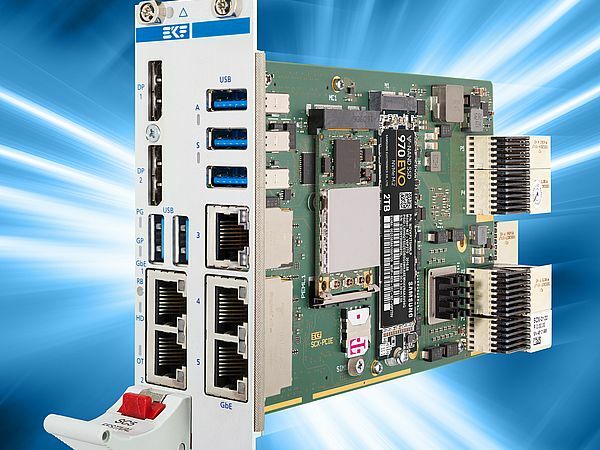 The SCX-PCIE is suitable for EKF CPU carrier cards such as the SC4-CONCERTO or SC5-FESTIVAL, which are equipped with two HSE (high speed expansion) mezzanine connectors, for eight PCIe® Gen3 lanes. The CPU carrier board and SCX-PCIE side card assembly requires 8HP front panel width together, and must be inserted into the particular system slots of two adjacent backplanes. While the CPU card fits into a CompactPCI® Serial backplane which has its system slot right aligned, the SCX-PCIE meets the left aligned system slot of the neighbouring secondary backplane. As a mass storage solution, the SCX-PCIE is provided with an M.2 socket for an NVMe (PCIe®) or SATA SSD module. Another socket is suitable for either a PCIe® Mini Card, or mSATA SSD. 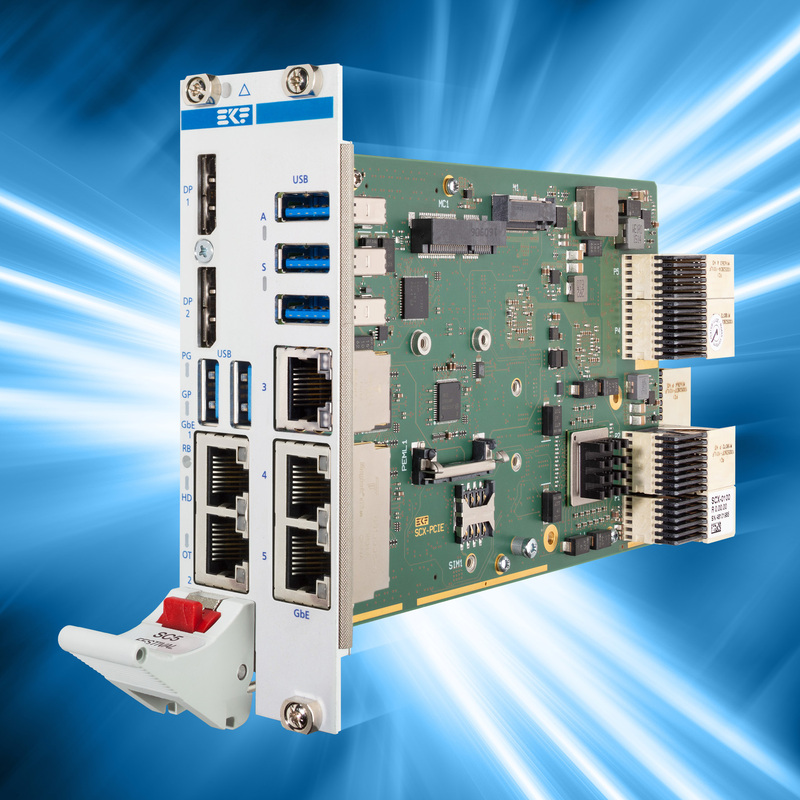 Furthermore, the SCX-PCIE is equipped with three GbE and three USB 3.0 ports for front I/O.